When you own a fabric shop, one must have a few personal rules in place. 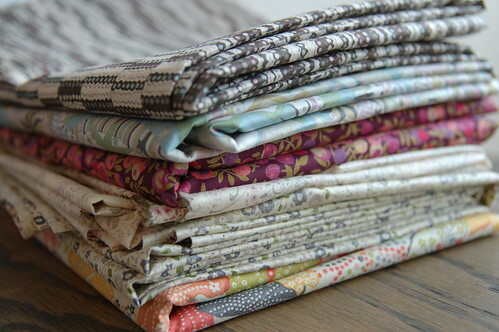 #1 – Do not unnecessarily hoard fabric. 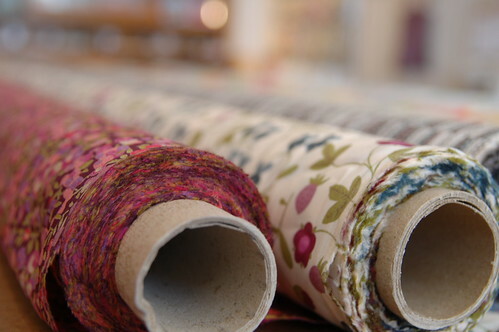 Obviously I adore fabric and I certainly adore all the fabrics that I choose for the workroom. 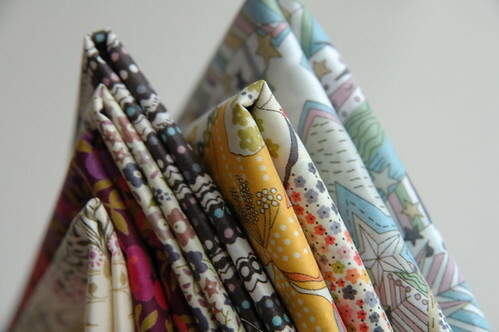 Often times, just the satisfaction of having ordered a fabric, unpacking it from a box, putting it on the shelf and watching people buy it for projects is enough for me. 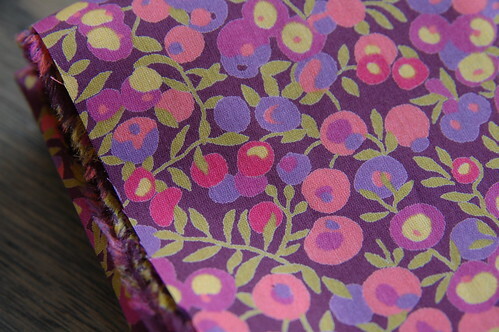 Whenever I cut fabric off the bolt for myself, it is for a specific project or pattern that I am about to make. My seven beloved bolts of Liberty of London fabrics arrived last Thursday and I have unabashedly broken my rule for these gems. 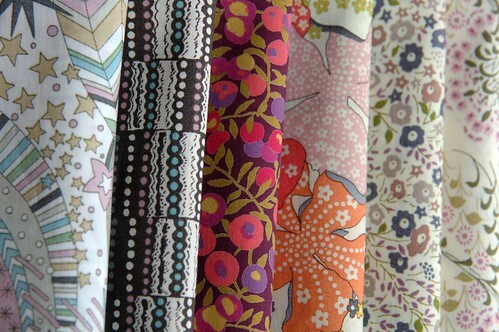 I have cut myself two metres of each of these seven fabrics to add to my collection before they disappear. In order to justify this, I’ve decided on this year’s summer sewing challenge for myself. (last year’s challenge = 13 dresses) I must make at least one thing out of each of these seven Liberty of London prints before Fall. This way, it’s not really hoarding, but merely being well prepared for my summer projects! I am not the only one with Liberty fever. Check out this, this and this. I just looove those liberty. Do you buy then on internet ?? Would you adivse me some links, please ?? don’t get high off your own supply! oh my goodness . . . those are beautiful! i’m looking forward to seeing what you make with them! you are killing me! Those liberty are stunning and the idea of dresses? Perfection!!! I must get my greedy paws on that star print! It’s love at first sight! YES! I can’t wait to come by to see them in person! AND! I am excited for your challenge!!! I can’t wait to see what you make! Loving the Liberty! You have shown great restraint in only choosing two metres each. I so wish someone would start a place like the workroom here in Vancouver. I have to get myself down to Liberty again. It is my favourite place for window shopping, and the occastional purchase when I just can’t resist. I’d love to see what you make with all of those fabrics. these patterns are perfection! must take sewing class and learn how to sew. 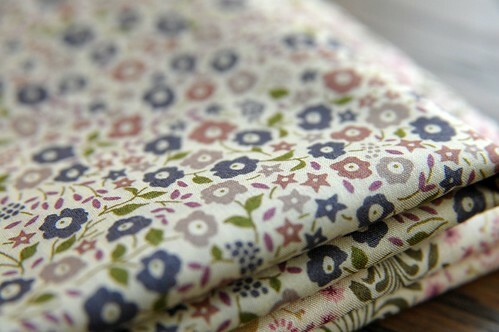 Tiphaine – we actually sell these fabrics here at the workroom. email me if you’re interested in buying any. martina – very wise advice!